Image 3230725: Waves breaking on the sandy beach. 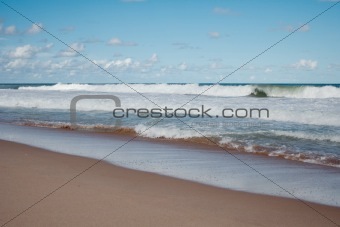 Image Description: Waves breaking on the sandy beach. Water is mixing with dark brown sand.